Egyptians on both sides of the fence brace for protests as supporters and opponents of ousted president Mohamed Morsi gather to rally..
Egyptians on both sides of the fence are bracing for protests Sunday as supporters and opponents of ousted Muslim Brotherhood president Mohamed Morsi gather. An opposing group is also calling for protests on Sunday, urging Egyptians to defend “popular legitimacy” and maintain the gains won in the overthrow of the Islamist government last week. More than 22 million who supported the military coup d’etat that deposed Morsi have ecstatically celebrated the installment of a three-member presidential council led by a transitional president named by General Abdel Fattah el-Sisi. 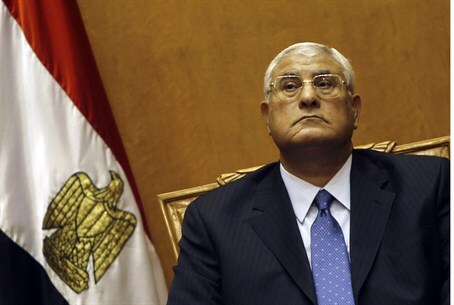 The installation of interim President and High Constitutional Court (HCC) Chief Justice Adly el-Mansour did little to stem the protests, however. Moreover, the military’s choice for interim prime minister of Nobel Prize laureate Mohamed ElBaradei, a former head of the United Nations International Atomic Energy Agency (IAEA), has been met with consternation on several sides. Just before midnight Saturday night, a presidential spokesman told reporters the prime minister’s appointment had not in fact been confirmed. The move came in the wake of extreme opposition from the Al-Nour party, an Islamist group the originally stood together with the Muslim Brotherhood but had switched sides to unite with the coup d’etat. In working to form the widest consensus coalition possible, the military is now faced with the challenge of appeasing parties across the spectrum. On Friday at least 36 people died in clashes between the two sides across the country as armed Islamist demonstrators attacked anti-Morsi opponents, and vice versa, the state-run Al Ahram daily newspaper reported. Residents of Cairo's middle-class Manial district said Morsi supporters were “heavily armed” and attacked them, leaving at least seven dead, AFP reported. The Muslim Brotherhood blamed the military for killing several protesters, according to Al Ahram. The newspaper reported the Brotherhood held a funeral for the dead as Morsi supporters rallied outside Egyptian presidential guard headquarters, believing Morsi was inside.